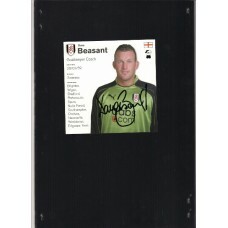 This is a small postcard size signed Dave Beasant Fulham card. This item has been hand signed by Beasant in fine black marker pen. Nice collectors peice Good price.